This June 4th will mark the 29th anniversary of the Tiananmen Square Massacre, in which the Chinese Communist Party massacred hundreds of innocent student protestors. The People's Republic of China, to this day, censors any mention of the Massacre and refuses to acknowledge it even happened. The same regime which ordered those hundreds of murders is still the same one currently reigning in Beijing, and its human rights abuses continue to this day.  Join the Victims of Communism Memorial Foundation on June 5th for this expert panel discussion on the relevance of the Tiananmen Square Massacre today, and for the presentation of the Foundation's Human Rights Award to Fang Zheng, who had both of his legs crushed by an oncoming tank in Tiananmen Square after pushing one of his schoolmates to safety. Yang Jianli is the President of Initiatives for China, a pro-democracy movement committed to a peaceful transition to democracy in China. Before coming to the United States, Dr. Yang helped the Chinese labor movement develop nonviolent struggle strategies; for his efforts, he was arrested and sentenced to five years in prison, and kept in solitary confinement for most of this time. Although he was originally a rising star in the Chinese Communist Party, he became disillusioned, and participated in the Tiananmen Square Protest of 1989, where he witnessed the massacre of thousands of innocent students. Dr. Yang has a Ph.D. in Political Economy from Harvard University, and a Ph.D. in Mathematics from the University of California, Berkeley. Natalie Liu's journalism career has included working as the Beijing Bureau Producer for CBS News and as a foreign affairs reporter for The Washington Times. She currently works as a staff reporter for Voice of America. While on assignment for CBS News in Beijing, Ms. Liu was jailed by the Chinese authorities. Ms. Liu is a graduate of Georgetown University’s School of Foreign Service (MSFS). She has also studied at Harvard University and The University of Pennsylvania. Robert Suettinger is an independent consultant, working on China-related issues. He has previously been a consultant at the Stimson Center, Analytic Director at Centra Technology, Inc. for nine years, and a Senior Policy Analyst at RAND. Mr. Suettinger was a Visiting Fellow at the Brookings Institution, where he wrote Beyond Tiananmen—The Politics of US-China Relations, 1989-2000 (Brookings, 2003). Mr. Suettinger served for 24 years in the Central Intelligence Agency, the State Department’s Bureau of Intelligence and Research, on the National Intelligence Council, and as Director of Asian Affairs on the National Security Council (1994-1997). Prior to his government career, he served in the US Army in the Republic of Vietnam in 1969-1970. Mr. Suettinger has an M.A. from Columbia University and a B.A. from Lawrence University in Appleton, Wisconsin. Peter Mattis is a Research Fellow in China Studies at the Victims of Communism Memorial Foundation and a contributing editor for War on the Rocks. He previously worked at The Jamestown Foundation as a fellow and editor of its biweekly China Brief. Prior to joining Jamestown, Mr. Mattis worked as an intelligence analyst for the U.S. Government and as a research associate at The National Bureau of Asian Research. His views on China have been widely cited in the media including in the Washington Post, The Economist, Wall Street Journal, Financial Times, Christian Science Monitor, BBC, UPI, Washington Free Beacon, Foreign Policy, The Australian, Defense News, The Saturday Paper, The Diplomat, and Sydney Morning Herald. Mr. Mattis has an M.A. in Security Studies from Georgetown University’s School of Foreign Service, and a B.A. in Political Science and Asian Studies from the University of Washington in Seattle. Fang Zheng is the president of the Chinese Democracy Education Foundation, an organization dedicated to promoting freedom, democracy, and human rights in the People’s Republic of China. Fang Zheng was previously an athlete, winning two gold medals and breaking two regional records in the All-China Disabled Athletic Games in 1992. Mr. Fang participated in the 1989 Tiananmen Square Protest, and had both of his legs crushed after he risked his own life to push an unconscious girl out of the way of an oncoming tank. In 2009, a group of doctors from the Walter Reed Hospital built new prosthetic legs for Mr. Fang, which allowed him to walk for the first time in twenty years. Mr. Fang attended Beijing College of Sports, where he majored in bio-dynamics in sports.